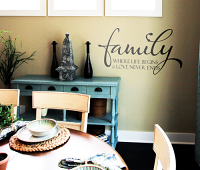 Home > Blog Home > Blogs > Best Sellers 2013! You asked for it- here is a list of our top 10 selling items in 2013! 1. 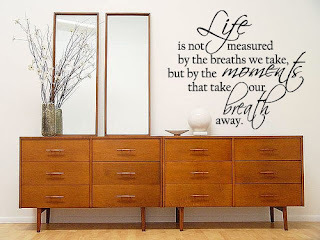 Life is Not Measured, this decal is SO inspiring- no wonder it is our number one seller! 2. 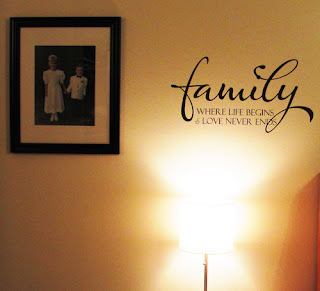 Family is Where Life Begins, we've seen a lot of customer photos where this decal is used between or around photo collages- and why not... it is an incredibly powerful statement about the love of family. 3. 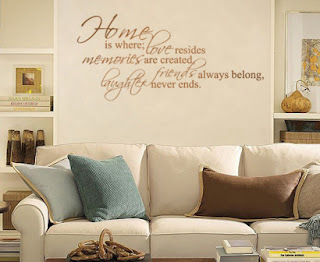 Home is Where Love Resides, This decal is all about home, family and friends- it is a wonderful thing for guests to see when they first enter your home and a powerful reminder to your family daily about what your home is all about. We also have an even LARGER version on the site HERE. 4. 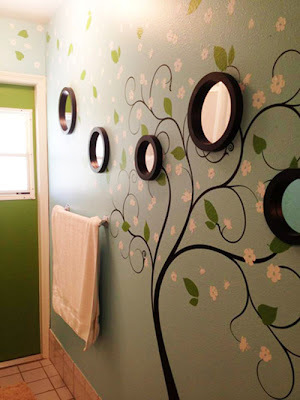 Blossom Tree, This is one of OUR favorites, so it is no surprise it is also yours! 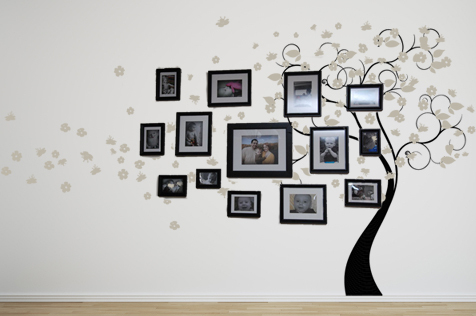 This beautiful tree is perfectly accented with blossoms and leaves, photos of your family (hello, family tree! ), mirrors, frames, or anything you can think of! 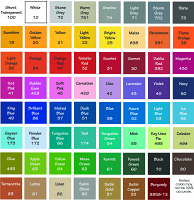 It has a variety of color and size choices- even the direction it faces. 5. Bubble Dot Circles, these funky dots will grace any little kids space perfectly. 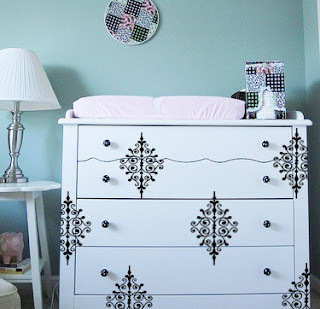 We've had so many wonderful compliments on this simple, yet fun design! 6. 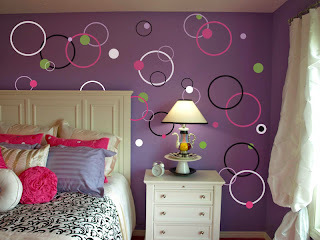 Dots & Circles, another take on dots- these are all solid. 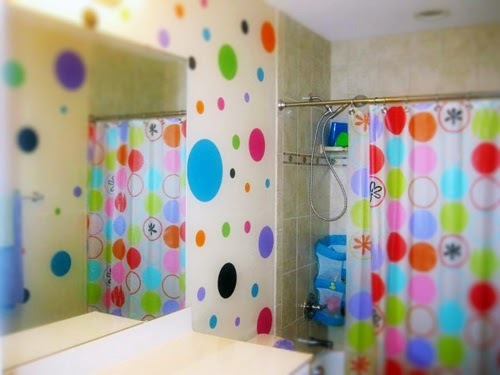 You can even mix and match with our dots & circles above for a truly unique look! 7. Ornate Baroque decal pack, these funky fleurs are such a beautiful accent piece! We've seen them brilliantly used on accent walls, dressers, and even refrigerators! 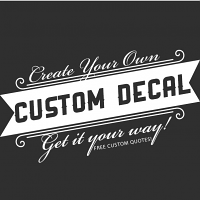 A very versatile decal that adds a small touch of elegance on whatever they land on. 8. Baseball Stitches- WOW this design is a home-run, just released this year and already one of our top sellers. 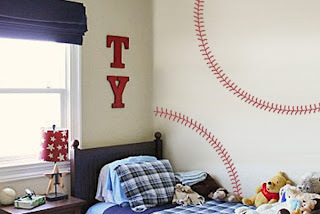 We couldn't be more pleased with this incredibly simple decal- simply add it to a white wall to instantly transform it into a massive baseball or softball! 9. 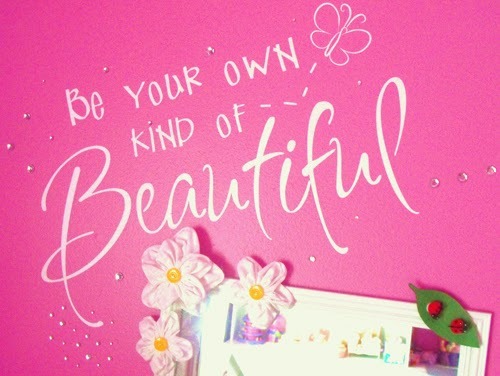 Be Your Own Kind of Beautiful decal, this classy decal reminds every little girl and teenager that beauty is completely up to YOU- a great inspiring statement for the world these days- where beauty is a superficial idea implanted in our children so young! 10. 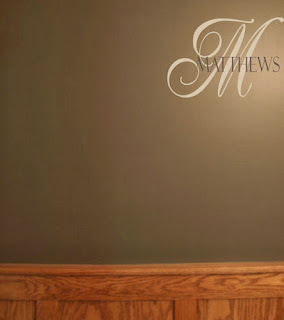 Elegant Monogram, this design is a simple and classy way to include your last name and intitial in your decor. Your last name is what ties you all together, it should be proudly displayed! Comments on Best Sellers 2013!